Fencing livestock is our only business. Deer exclusion to pet containment for rural areas. Fifty years experience in the Agricultural business sector (25 years in the fence business) have provided insight and product knowledge to suggest the best fence for your farming operation. We are members of the American Fence Association. Supplies in stock. Construction crews available. 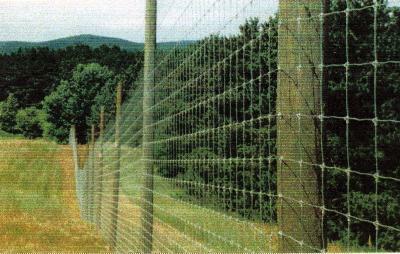 Electrified Hi-Tensile Smooth Wire: 12.5 gauge class 3 galvanized wire that carries an electric impulse that creates a psychological barrier to keep animals confined and predators out. ElectroBraid™: This is both a psychological and physical barrier. The white color provides visibility and the copper strands impeded in the “seat belt” material provide electric impulses. 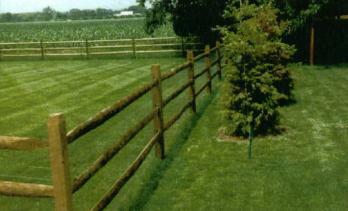 Board Fence: A physical barrier of high quality, well treated posts and rails is a strong option. Using an electrified wire on the inside of the fence will deter animals from pressuring the fence and reduce maintenance costs..
Split Rail: ACQ treated Southern Yellow Pine. An alternative to Board Fence. Two or three rail systems in stock. Using an electrified fence, woven wire or livestock panels on the inside will keep animals from pressuring the fence and reduce maintenance costs. 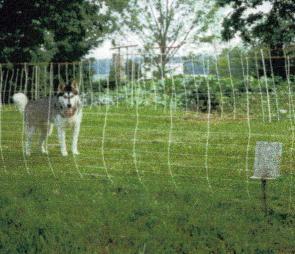 Electrified Polytape fences may be used for temporary or seasonal deer and pest control around orchards, gardens or truck crop areas of five acres or less. A three foot high fence using two or three strands of Polytape has proven to be effective and inexpensive deer deterrent. Adding a low strand may also deter raccoon and woodchucks. For example, material costs for a parcel 300’ X 400’ (3 acres more or less) should be under $500.00. This would include Polytape, 5/8” Fiberglass posts, clips, energizer, battery and ground rod. This system is easily removed and stored after harvest until next growing season. 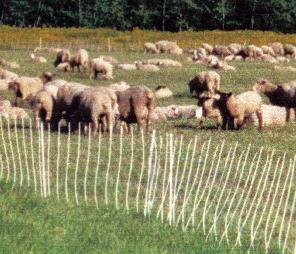 Portable netting is usable to control livestock grazing and promote re-growth of pastures. It also works for pet containment.